After 35 Years, Air Force Deserter Found Living In California Under False Name Capt. William Howard Hughes Jr. had top-secret clearance and disappeared in 1983. His family was baffled, and some people speculated he'd defected to the Soviet Union. Capt. 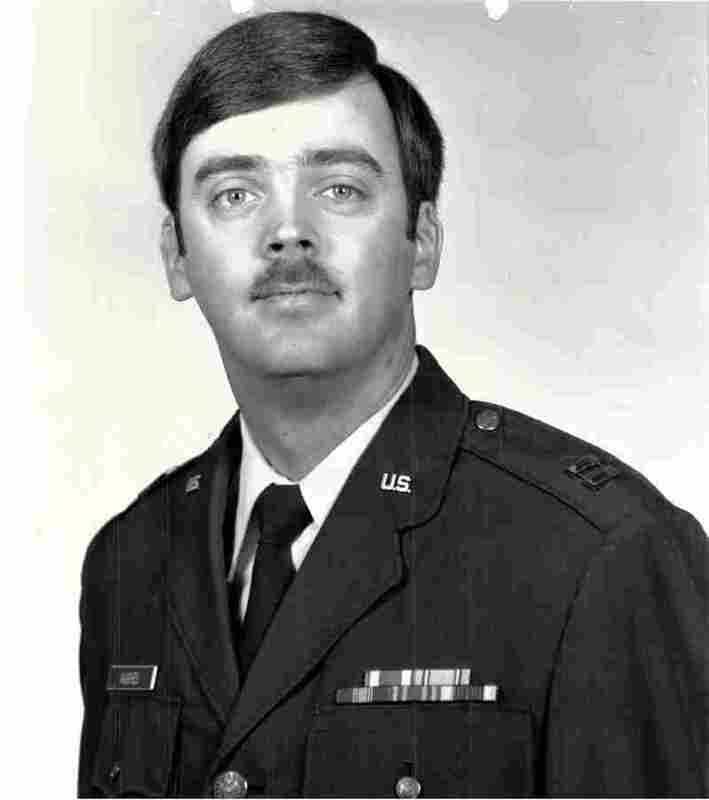 William Howard Hughes Jr. was formally declared a deserter by the Air Force on Dec. 9, 1983. He was apprehended June 6, 2018, by Air Force Office of Special Investigations special agents and is awaiting pretrial confinement at Travis Air Force Base, Calif.
"Interviews of friends, associates and coworkers failed to disclose information regarding Hughes' whereabouts," the AFOSI wrote. "Checks with law enforcement agencies both in the United States and overseas also failed to locate him." But more than 30 years after he dropped off the grid, Hughes was caught. The U.S. State Department was investigating Hughes — who claimed to be "Barry O'Beirne" — for possible passport fraud when he revealed his true identity. "Capt. Hughes claimed that in 1983 he was depressed about being in the Air Force so he left, created the fictitious identity of O'Beirne and has been living in California ever since," the Air Force writes. "His car was found at the Albuquerque airport and a search of his home in the 1900 block of Chandelle Loop NE revealed notes of planned activities and books to read upon his return, according to reports. "After the Air Force formally declared Hughes a deserter in December 1983, his family said in an Associated Press article printed in the Journal on Jan. 20, 1984, they believed he had been abducted. "Hughes was unmarried when he disappeared, but the Seattle native had three sisters.
" 'We do not feel he disappeared voluntarily,' his sister, Christine Hughes, said in the article." In 1986, journalist Tad Szulc wrote in a Los Angeles Times op-ed piece that at least some intelligence officers "believe that Hughes was either captured by Soviet agents or voluntarily defected to the Soviet Union." Those officers suggested Hughes may have been linked to possible sabotage of some failed U.S. and French rocket launches. A spokeswoman for the Air Force Office of Special Investigations told the Albuquerque Journal there's no sign Hughes leaked classified information or was involved with the Soviet Union, but that investigations are underway. "Until we have the whole story, we don't have the story," she told the newspaper.